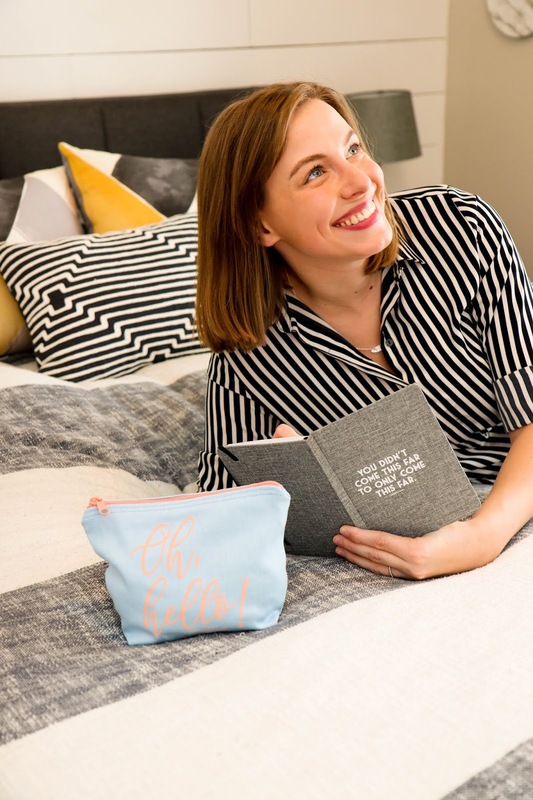 It feels like just yesterday I announced the Oh, Hello Box to the world and now here we are talking through the SECOND box already. Whhhhattttt. February always feels like the month of abandoned resolutions. I wanted to create a box that would help motivate and inspire you to keep after your goals, but also remind you to take time for yourself every once in a while. Plus I'm giving away one of the boxes at the end of this post! 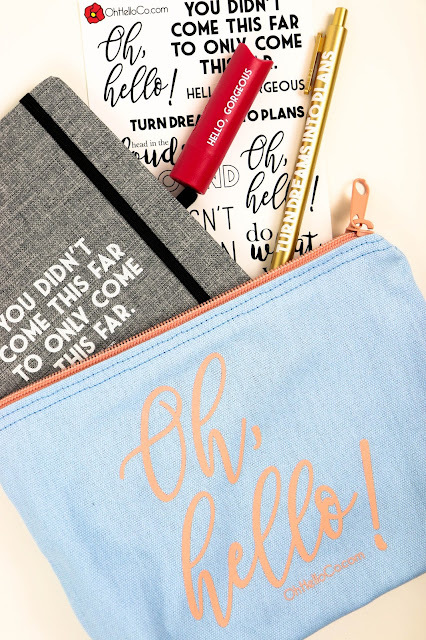 If you're new to the Oh, Hello Box, it's a monthly subscription for $44.95 that comes with over $100 worth of stationery and lifestyle products. There's also an auto-renew option if you're like me and a new month sneaks up on you, every month. This box will be available through March 1st. The February box is full of inspiration quotes, desk supplies, and tools to help find a little relaxation at the end of a long work day. 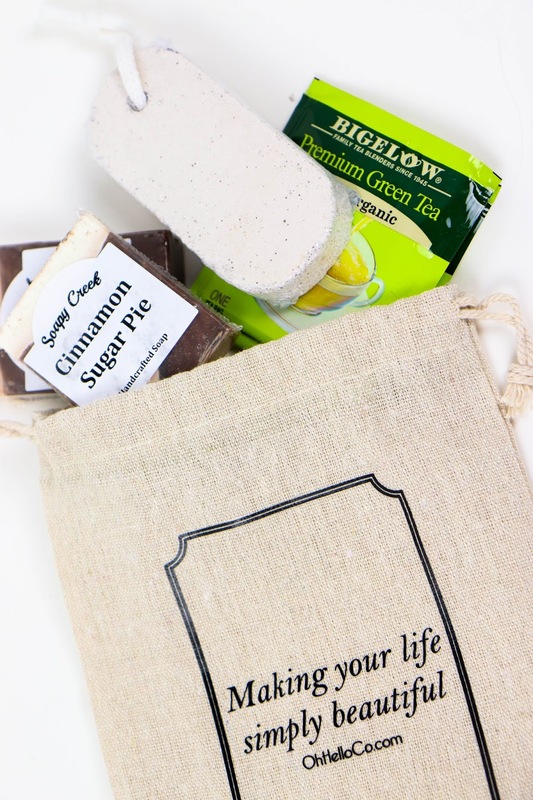 My favorite product in the box has to be the makeup bag. There's SO much room in it and it's the product I've used the most from the box so far. 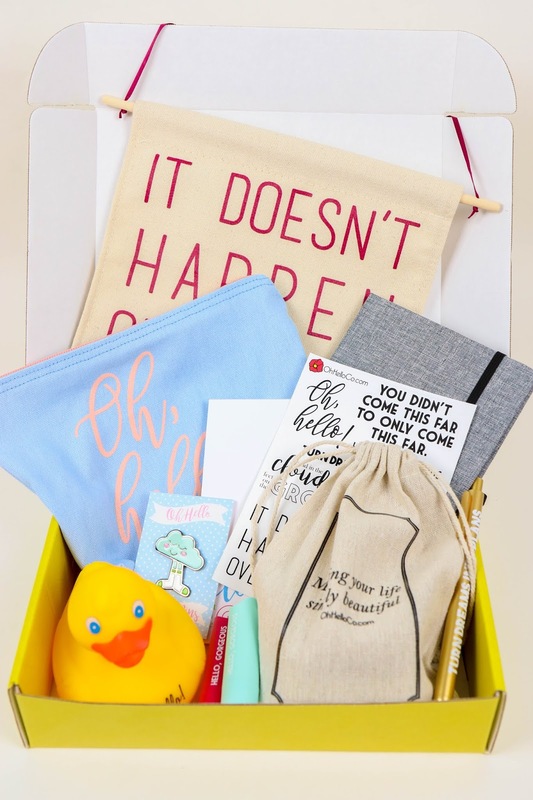 I'm making it my mission to put something fun in each box for the kid in all of us (or actual kids in our life) so this month a rubber ducky just had to happen. 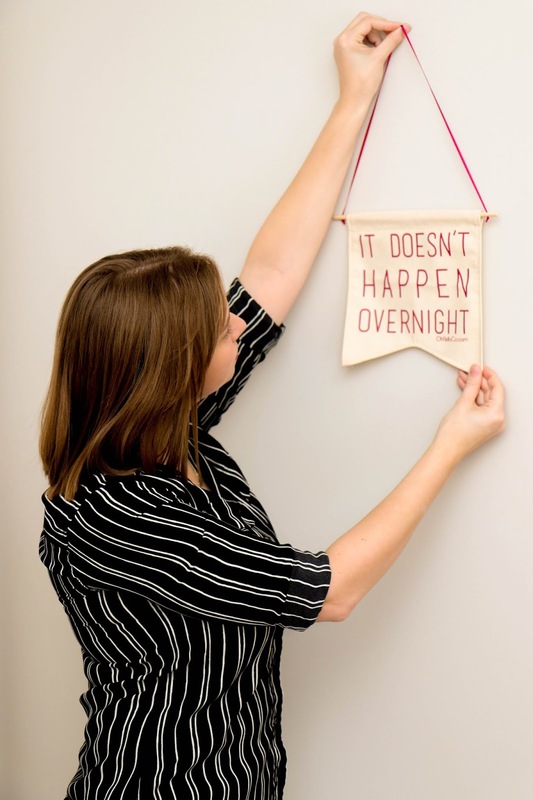 There's also a really adorable pennant with one of my favorite quotes of all time. I constantly need a reminder that things don't happen overnight. Projects take time and patience sometimes and patience is something I definitely lack. Thank you so much to everyone who has supported the box so far! To say thanks I'm giving a box away to one of you! To enter, fill out the raffle form below! Good luck and don't forget to work hard and play hard!